Alcohol Law Reform legislation and a Gambling Harm Reduction Bill are in Parliament this week. Health professionals are calling on the Government to do more than just tinker with the alcohol laws. They are calling for “increases to alcohol prices, the purchase age, drink-driving counter measures and treatment opportunities and reductions in alcohol accessibility and marketing.” They point out that these measures are the same as those applied to the smoking culture over the past forty years with considerable success. The Hamilton Council of Social Services and Poverty Action Waikato in a combined statement are calling on politicians to take the opportunity reduce suffering and deprivation in our communities by supporting the Gambling Harm Reduction Bill and strengthening the alcohol law reforms. 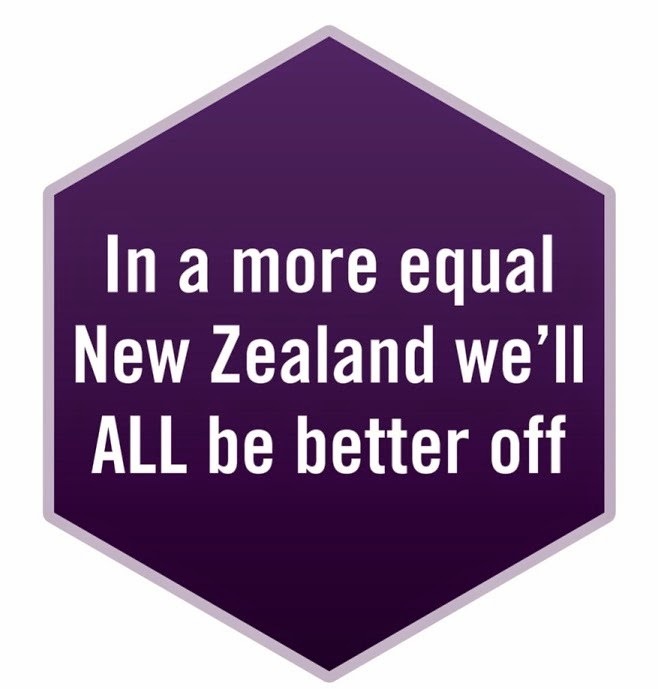 As NZCCSS pointed out in our latest Kete Kupu 13 newsletter, the Government’s current proposals have ignored some of the most effective ways of reducing alcohol – raising prices and reducing marketing. Abolish the Pokie Machine Trusts – this is one change included in a Private Members Bill due to be presented in Parliament this week by Te Ururoa Flavell. As the Problem Gambling Foundation points out, the 50 pokie trusts around the country are frequently cited for non-compliance with their trusteeship requirements. Anyone can set up such a trust and they are very difficult to monitor. Money taken out of communities with few resources ends up being spent on entertaining for trustees, refurbishing venues and other inappropriate uses. Poverty Action Waikato and the Salvation Army are urging politicians to support this Bill that would give local authorities the power to reduce or eliminate pokie machine from their communities. Poverty Action Waikato points out that some rural communities in Waikato have the highest rates of gambling per capita but less than 3% of the revenue generated goes back into these communities. The Gambling Harm Reduction Bill is due to be tabled in Parliament on Wednesday 10th November, read the full text at the Parliament website: Gambling Harm Reduction Bill. Income Splitting Bill – submissions are now due on 10th December. Please read our October 26th edition of Policy Watch to see why we think this piece of law is a bad idea. Home Rating System Homestar has been launched this week www.homestar.org.nz. This is an online home rating tool that assesses the energy efficiency, comfort and healthiness of homes, giving a star rating of up to ten stars. The Building Research Association of NZ (BRANZ), Beacon Pathways and the Green Building Council have developed this tool, designed to encourage people to assess the performance of their homes and seek to improve them. In the absence of any regulated minimum standards for homes in New Zealand, this voluntary tool is a welcome development. But as the Greens rightly point out, the worst performing homes are the least likely to receive any attention under a voluntary system like this. NZCCSS has long advocated for a compulsory housing warrant of fitness and a comprehensive and easy-to-use system like this could be used to ensure the one million sub-standard homes in this country are improved. Growing Housing Inequalities - The DBH has been busy on housing policy, publishing an excellent overview of the NZ housing sector called: New Zealand Housing Report 2009/10: Structure, Pressures and Issues. The report documents the rise in house prices and fall in home ownership that is opening up housing inequalities that lead to growing wealth divide between those in home ownership and those excluded. It identifies a projected shortfall of more than 90,000 dwellings over the next 20 years. Launch of 'Success for All - Every School, Every Child' the Government's response to the Special Education Review. The plan, launched by Associate Minister of Education, Rodney Hide, sets out four years of changes to ensure children with special needs get a ‘fair deal’. "Eleven hundred more children will get support from the Ongoing and Reviewable Resourcing Schemes (ORRS) where there will be ‘reduced bureaucracy’ and a further 1,000 will be able to get specialist support in their first three years of school. Deaf, blind or low vision children will receive ‘more flexible, supportive’ services. Special schools will be encouraged to provide an outreach service to provide specialist teacher support to children in mainstream settings. Assessment is to focus on the level of need, rather than the level of disability. Eighty percent of schools are planned to be fully inclusive of special needs students by 2014. The plan has been welcomed by the Minster for Disability Issues, Tariana Turia. Meantime, Labour spokesman on education, Grant Robertson has suggested the plan “is sadly lacking in any detail of how the 2014 goal will be reached.” See the full report here. INVOLVE 2010 Connect: Together We Are Stronger 17 - 19 November 2010 Aotea Centre, Auckland A biennial conference for people working with young people. The purpose of Involve is to provide an opportunity for people who work with young people to gather together to enhance skills and strengthen connections to promote young people's positive health and development. National Disability Conference December 2010. 6 December 2010 for disabled people, their family, friends and wider networks. The theme is “Making it Easy to Speak Up”. Registration closes Friday, 12 November 2010.